Hello friends! It’s been a super busy time both personally and professionally, and unfortunately, the blog has taken a bit of a backseat, but I’m checking in with a trunk show alert, and let you know we’ll be trying to get back up to a post or two a week, so please be patient! If there’s a specific topic or category, you’d like to read or see more of, email me at Tiffany@ribbonboxevents.com and let me know! In the meantime, we’ve got some trunk show news! 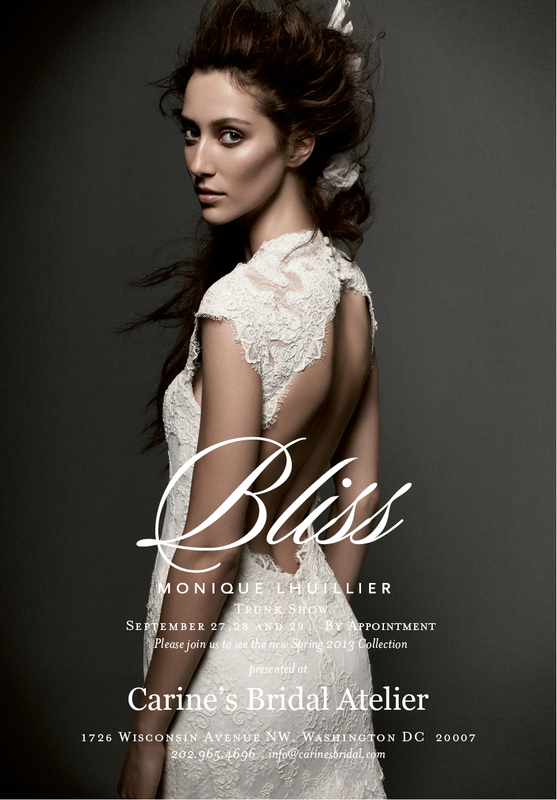 Our friends at Carine’s Bridal are hosting a Bliss by Monique Lhuillier Spring 2013 trunk show from September 27th through 29th. Call or email the shop to book an appointment! 2. a company of followers or attendants; a train or retinue. 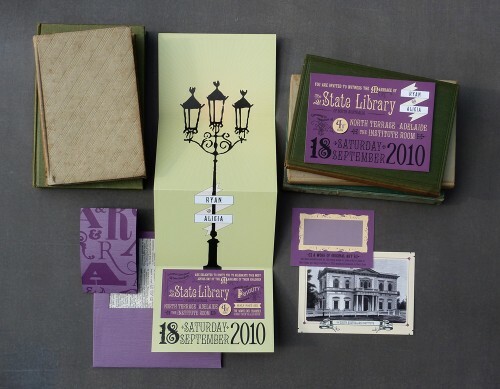 An invitation or stationery suite are all the pieces that make up your invitation package and are mailed with the invitation. 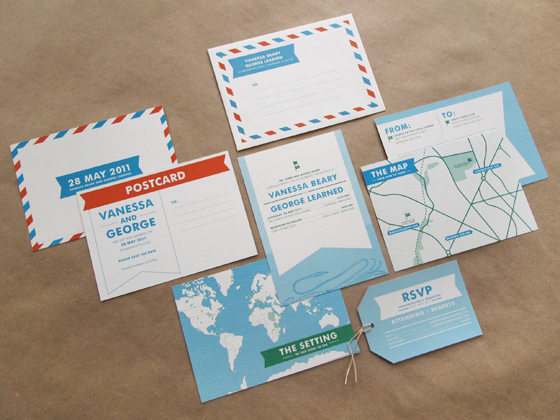 The includes the actual invitation, response card, reception card, directions card, and envelopes. Working with a stationer or graphic designer will ensure streamlined design and continuity. There are a number of websites you can browse for inspiration. Your wedding planner can connect you with a stationer who can work with your budget and style to create a beautiful suite that captures your personality, style, and look of your wedding. 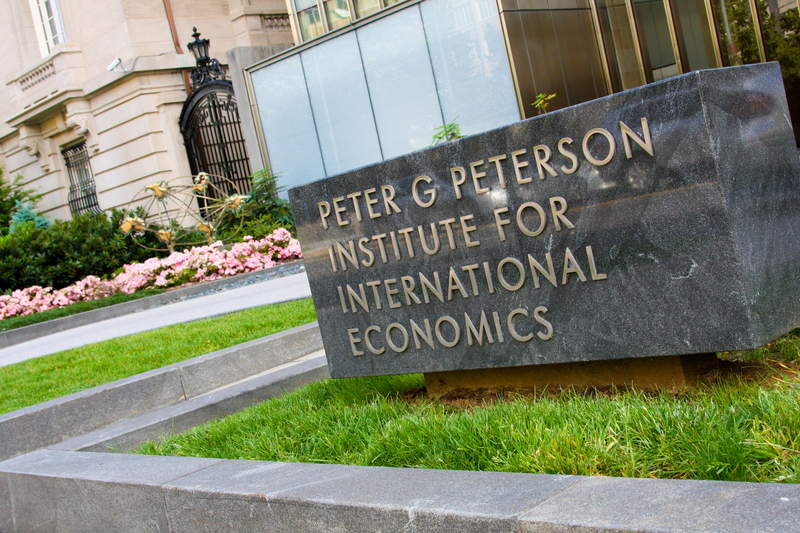 Both the ceremony and reception took place at the Peter G. Peterson Institute for International Economics, just off of Dupont Circle. A short walk from the Tabard Inn, this building with a modern exterior was a welcome change from the typical marble and stone of its neighbors along Massachusetts Avenue. 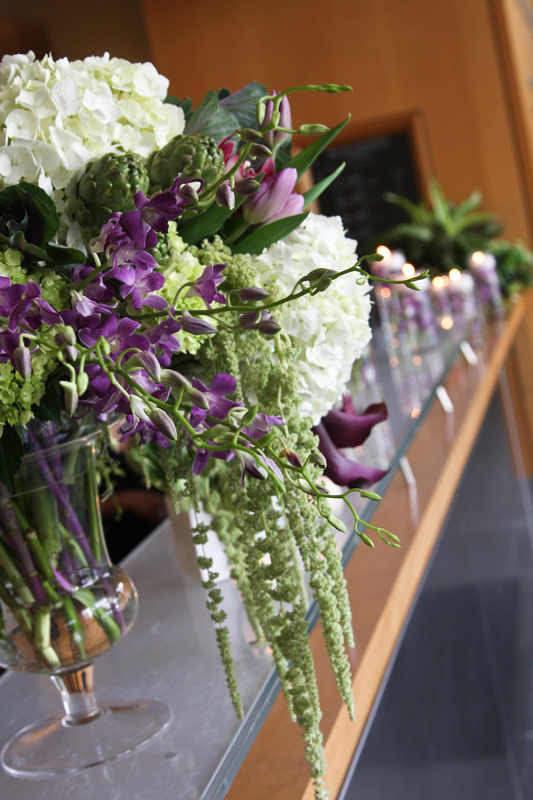 Da Vinci’s Florist lined the narrow hallway with submerged purple dendrobium orchids topped with floating candles to guide the way. 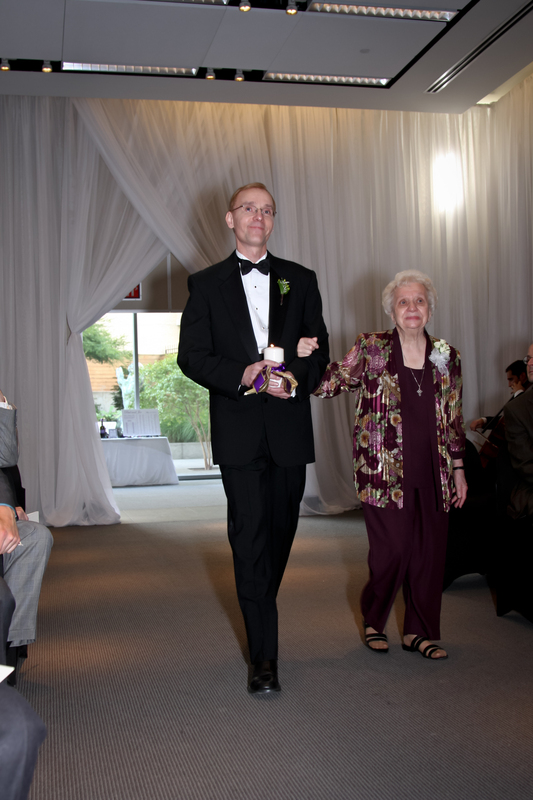 The grooms escorted their mother and father down the aisle, and each carried a memorial candle to honor their deceased parents. The candles sat in candleabras that framed the grooms during the ceremony, and continued to burn around the sweetheart table during the reception. 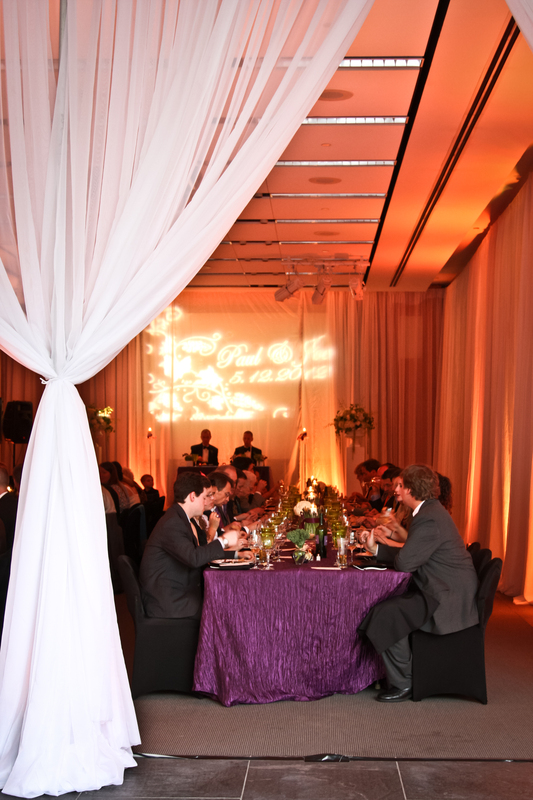 The floor to ceiling draping around the entire space completely transformed the meeting space into an intimate, romantic ceremony space. Simple white uplights bounced off the white draping, adding romance and drama to the altar. The private courtyard in the back, complete with floor to ceiling windows and sculpture garden made for a perfect backdrop for family photos, and cocktail cocktail hour. The space didn’t need much, just a few cocktail rounds with some submerged florals that echoed the hallway inside, and a stocked bar! As the lights went down, the cocktail area just glowed outside, and it felt like the outside and inside merged. Love! 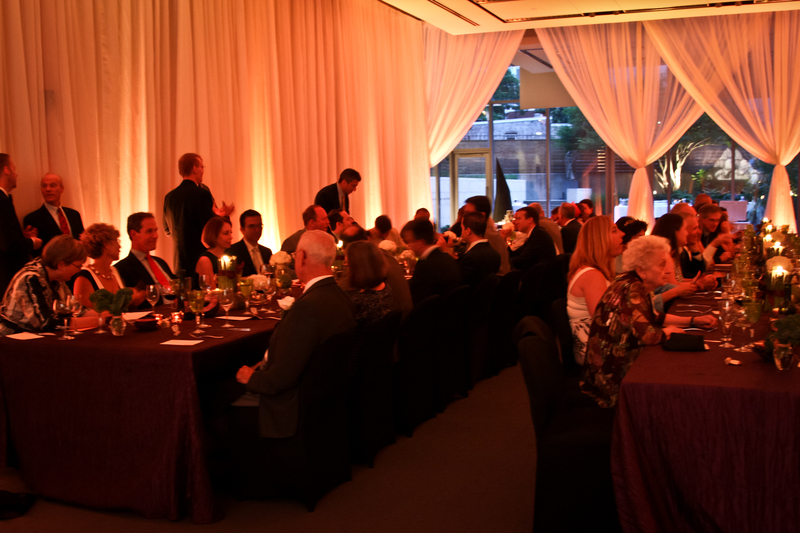 While guests enjoyed a champagne reception, we were hard at work transforming the ceremony space into a breathtaking reception space. 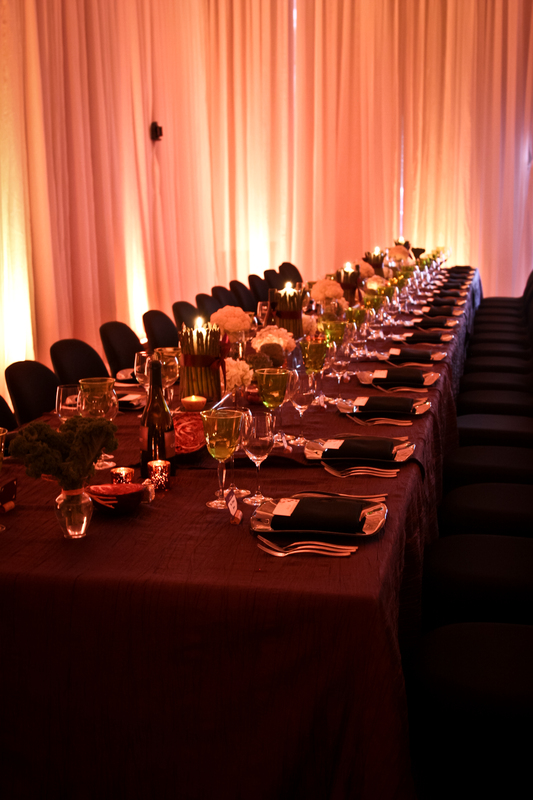 Amber uplighting, eggplant linens, and black accents transformed the room yet again. the stage and ceremony decor was re-purposed to become a sweetheart table. 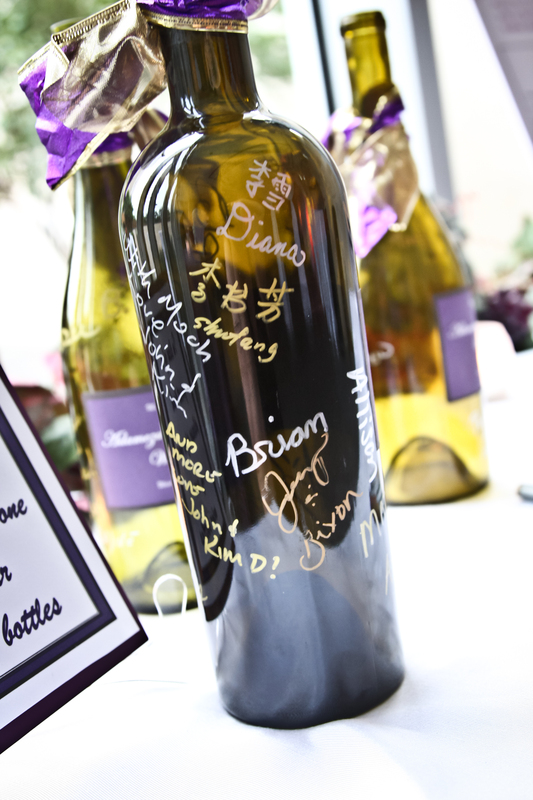 Wine bottles (labels removed) served as alternatives to a traditional guest book. 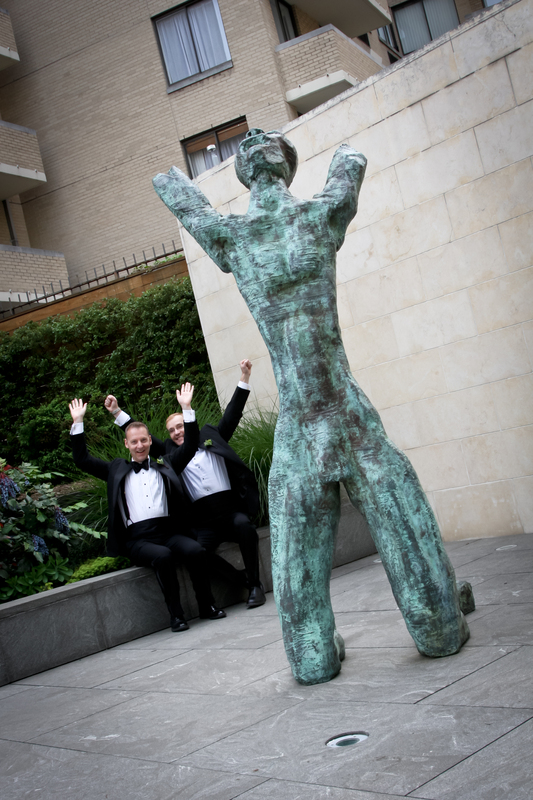 Guests signed their names and wrote warm wishes to the new Mr. & Mr., who would later display them in their dining room. 2 grooms, 2 cakes. Perfect ratio for me! 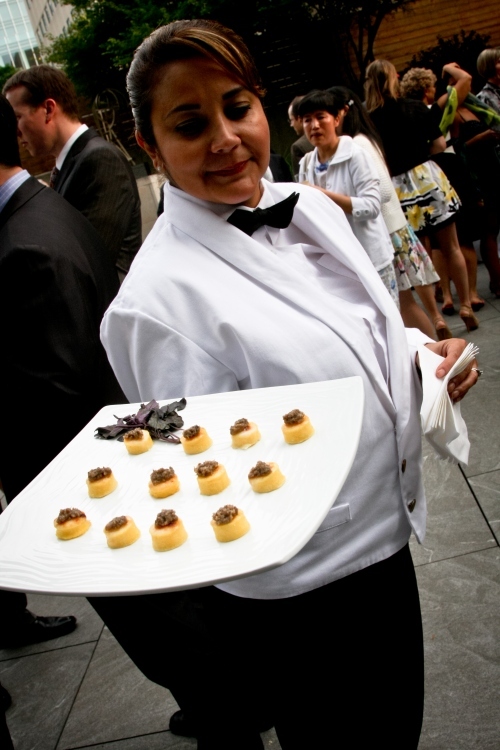 Design Cuisine created two decadent desserts (not to mention the delicious homemade caramel turtles alongside coffee service). One, a traditional buttercreamy goodness, and the other, a rum cake, in the shape of a traditional rum barrel! 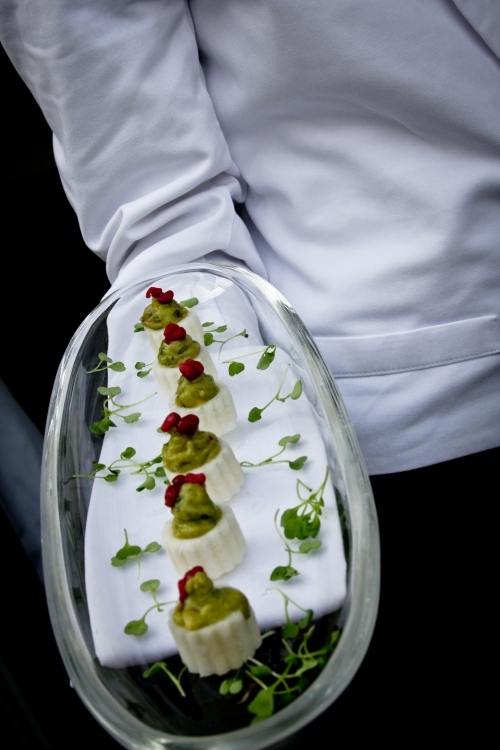 … and the vegetable tablescapes turned food into art! 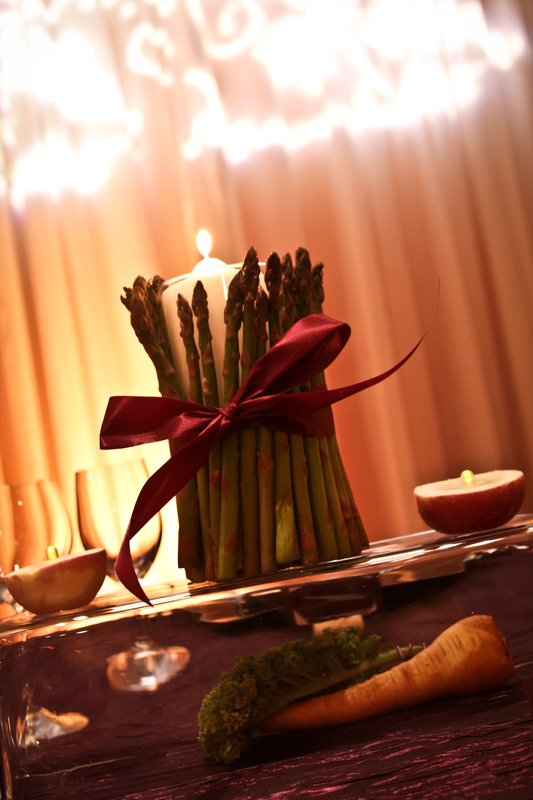 In lieu of traditional centerpieces, Krista from Da Vinci’s Florist created a runner down the two tables consisting of turnips, cabbage, asparagus, cauliflower, and more! Much thought was paid to the materials and the layers of texture on the tables. From the black spandex chair covers that provided a sleek, streamlined chair that not only meshed well with the eggplant crush linens, but the the mix of the organic vegetables, green glassware, and beautiful green and eggplant decorated china, set atop black chargers. 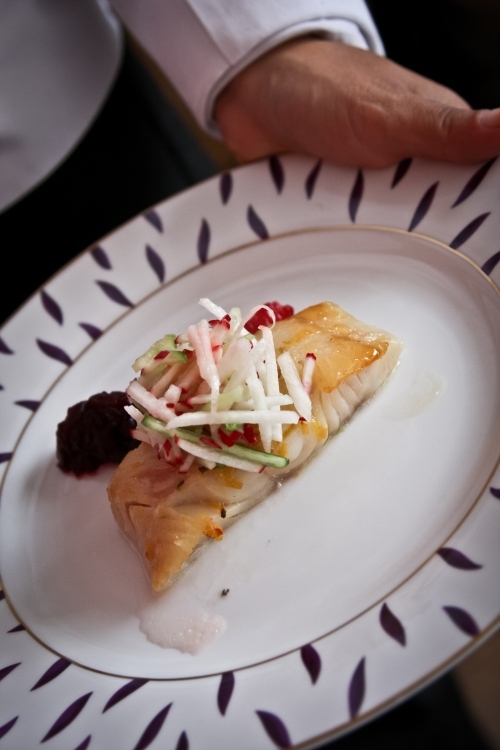 In-between courses, there was a brief interlude for a little dinner party game. I’m normally anti-game, but this really turned out super cute. 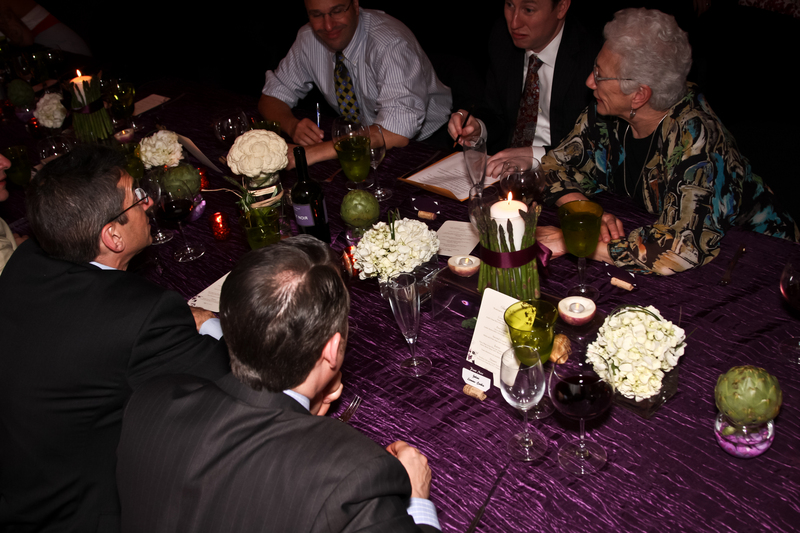 Guests had been given seating “regions” after Paul and Joe’s favorite wines to help them find their seating. These regions also served as teams for us to easily pair off. Each team was given a quiz where the answer to each question was either Paul or Joe. It brought a lot of guests together who knew certain questions, and could fill in the blanks for others. It created such a lighthearted feel, there were giggles and laughs coming from all corners of the room. 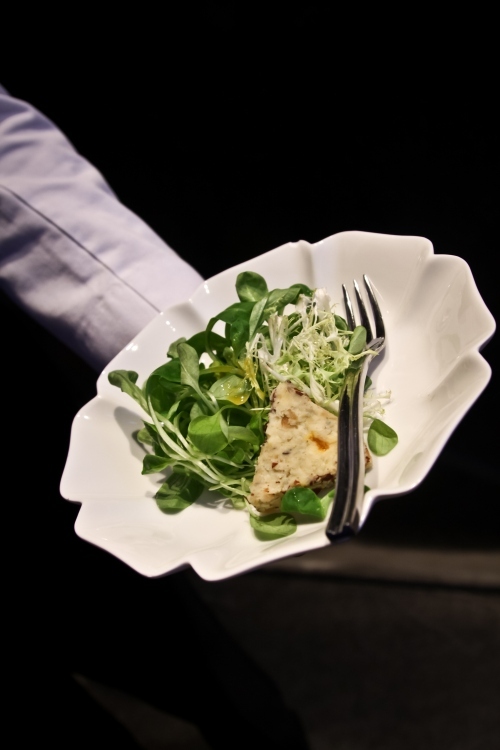 Afterwards, the next course was served, and the answers were revealed in a musical slide show. just above the sweetheart table. 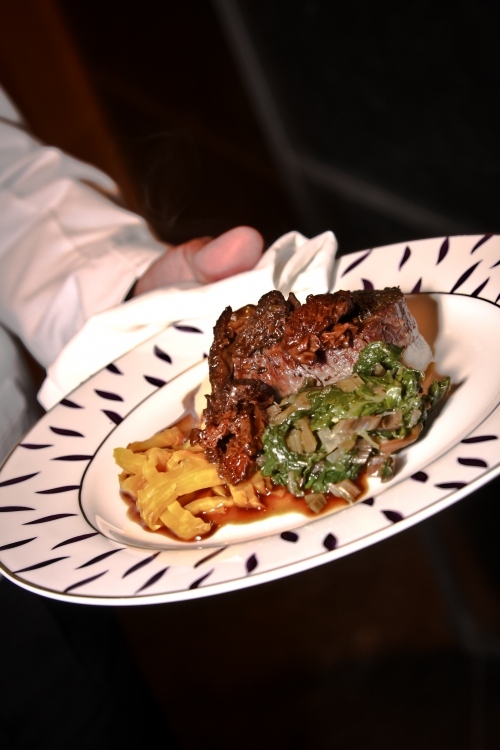 Dinner, dancing, and a room filled with love. Couldn’t ask for anything more. Amazing night- one that I surely won’t forget anytime soon! Check out the bottom of the post for the rundown on all the amazing vendors that came together to pull off this fabulous wedding! Congratulations Paul and Joe! I wish you a lifetime of happiness, dinner parties, travel, and lots of good wine!! I’m back from vacation just in time to share some fun happenings on the blog and in the DC wedding world! 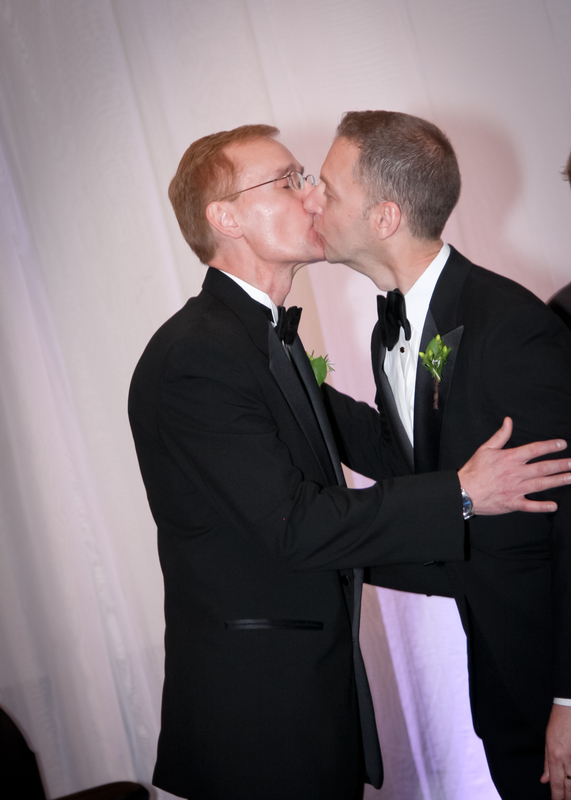 I’m excited to share that this week we’ll feature a recap of our first gay marriage we were honored to be part of back in May 2012. You’re going to LOVE the intimate dinner-party feel from Paul and Joe’s nuptials, as well as the incredible transformation from ceremony into reception space! 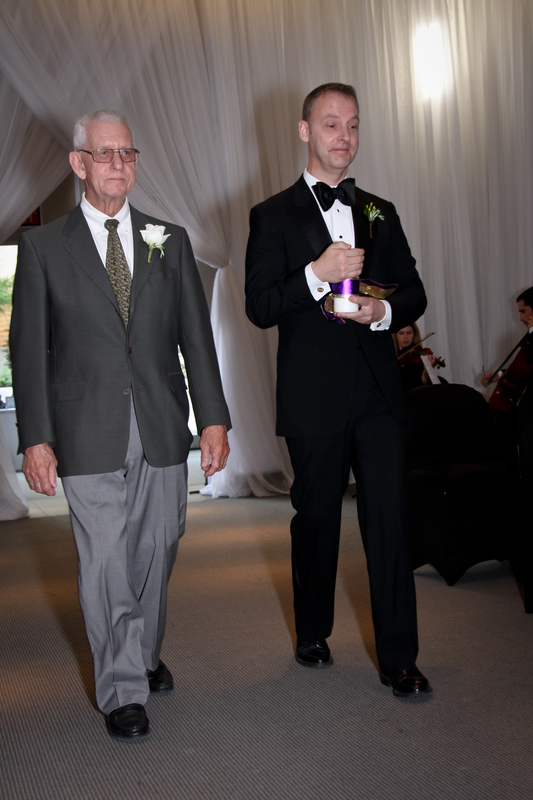 Friday, a personal, but fun post from a wedding I attended last weekend while on vacation. Not your typical choreographed dance- this one was all thanks to the Harvard Baseball Team. Stay tuned! Now, last but not least, a huge sample sale is coming up this THURSDAY! DC brides, mark your calendar! Thursday- HUGE summer sample sale at Carine’s Bridal Atelier. Ladies.. this is not to be missed! 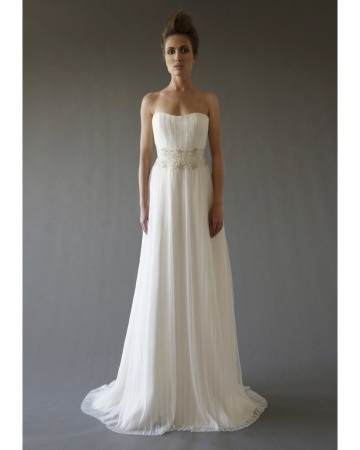 Especially those of you longing for a designer gown without the designer price tag. From 5-8 p.m. on Thursday July 19, couture gowns from Oscar de la Renta, Marchesa, Carolina Herrera, and Monique Lhullier and more will be discounted up to 75%! The sale is first come, first serve, and you do not need an appointment. word to the wise, get there early and wait in line to get first look! 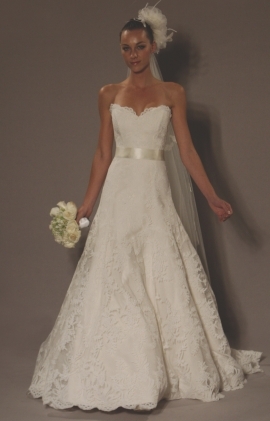 are accepted, but gown stays with Carine’s Bridal until check clears. • Metro accessible via Foggy Bottom metro. Street parking also available. 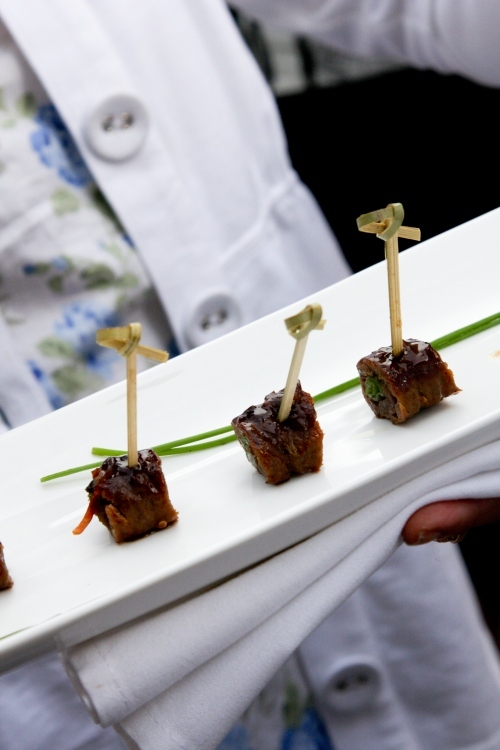 It’s going to be a great week on the blog, and in DC. Hope you’ll join in! So excited to announce that today I’m a guest blogger on Capitol Romance! 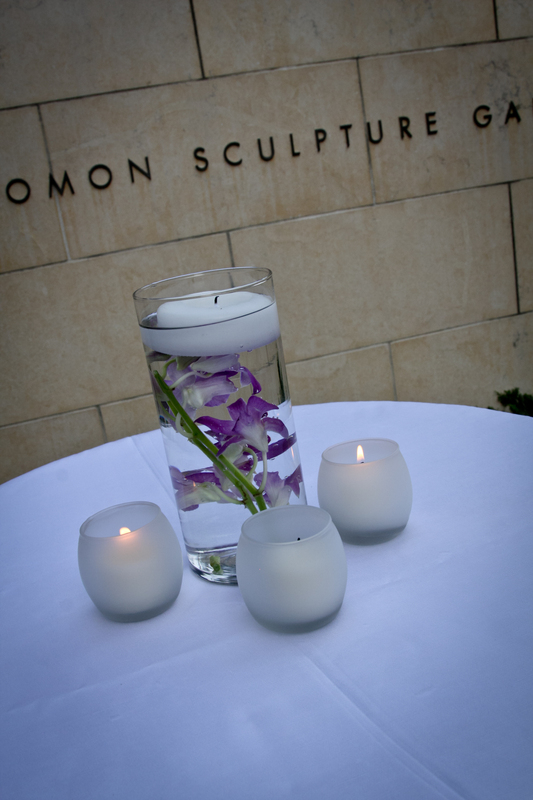 Click here to head on over and check out my piece on alternative unity candle ceremonies. Those of you who read my original post, will notice a few new ideas! Receive 10-15% off designer veils, jewelry, and belts from Peter Langner, Siman Tu, Maria Elena, Paris, Cheryl King, Homa, and more. For every veil purchased, a bed net will be sent to a family in Africa through the United Nations Nothing But Nets Campaign. Call to schedule an appointment. Jeanettes Bridal Military Event will be held Tuesday, July 10th, from 10am-8pm. Contact the store directly for additional information. Sample Sale Thursday July 19th, 5-8p.m. Tip from the Ribbon Box: Angle your Topper! A quick and easy Friday tip for the weekend. 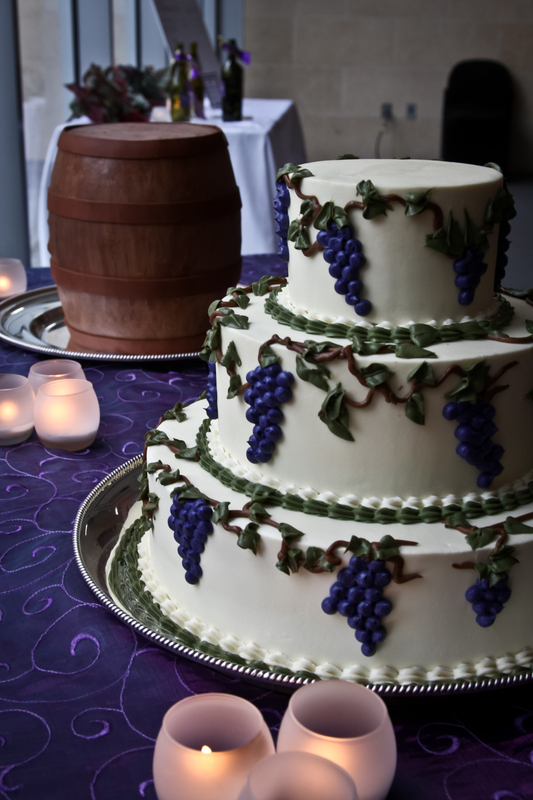 Angle your cake topper so it is visible from afar, not just looking down over top it. Looks fab in pics too! Check out Laura & Ryan’s topper. See what I mean? Fashion Forward or Jumping on the Bridal Bandwagon? 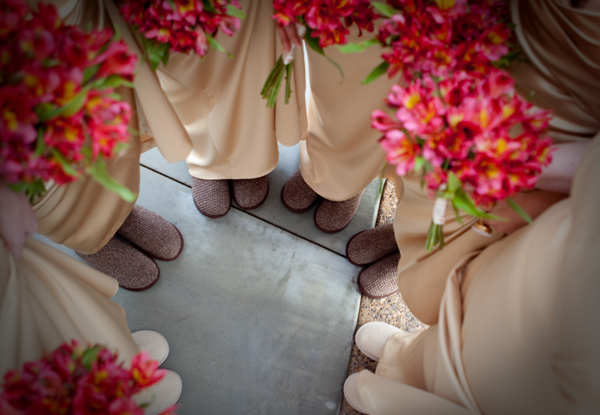 Recently, Ugg Australia introduced the “I Do Wedding Collection,” consisting of two boots and one comfy flip flop style that apparently brides to be should add to their wedding day wardrobe, or during the engagement period. Above, left to right from Ugg I DO Collection: Sparkles, Fluff Flip Flop, and Bailey Bling. 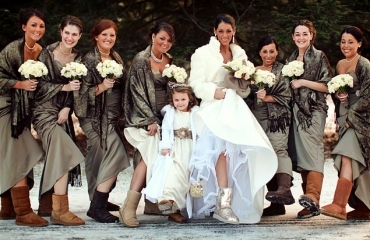 Plenty of brides have looked to Ugg and their knockoff competitors for their wedding day, whether it’s hanging out in a comfy pair while getting ready…. 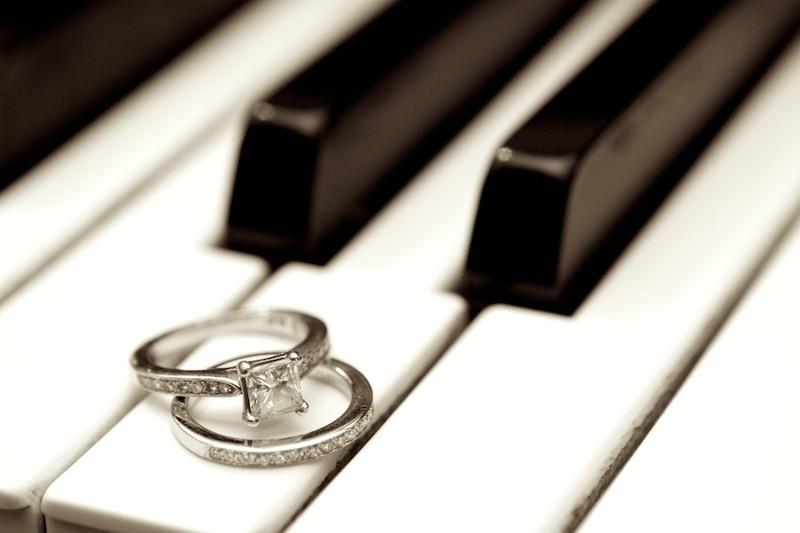 However.. many have not sought out a “bridal” white/silver combo- they are opting for some contrast with their dresses. 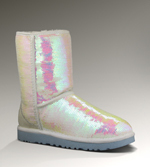 What are you thoughts, is Ugg onto something, or did they miss the mark? Would YOU wear any of these on your wedding day (getting ready, or during the actual festivities?) Comment below! 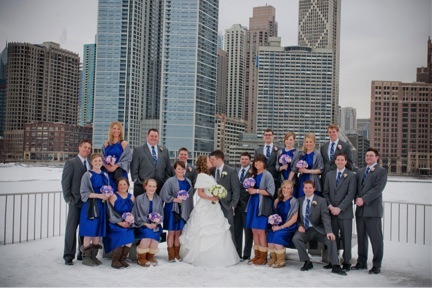 Cheers to the wonderful Katie Jett Walls of Red Turtle Photography! 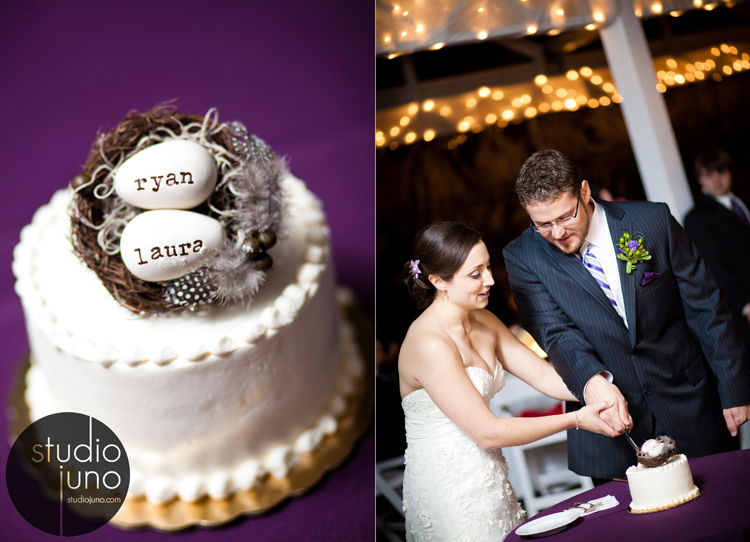 Had to share the link love to her blog post and amazing images from Paul and Joe’s wedding last month. It was so much fun to work with her! 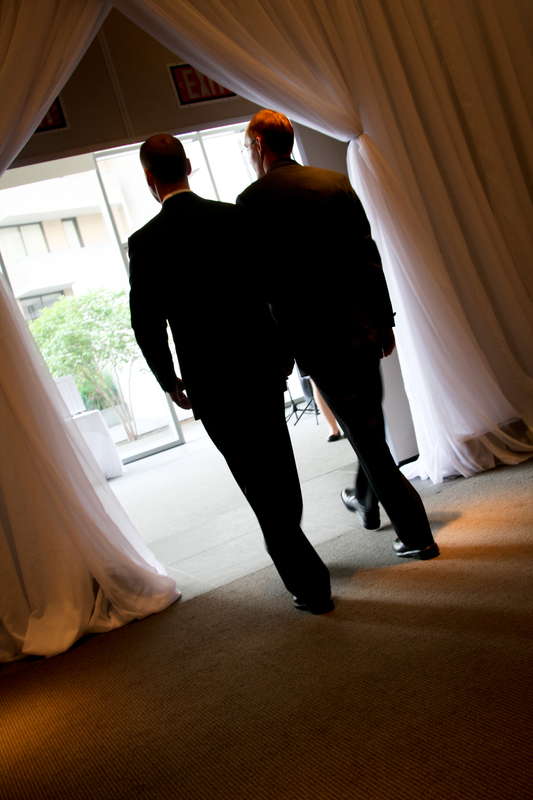 Welcome to June, wedding season in full swing, but there are still deals to be found for 2012 and 2013 brides! 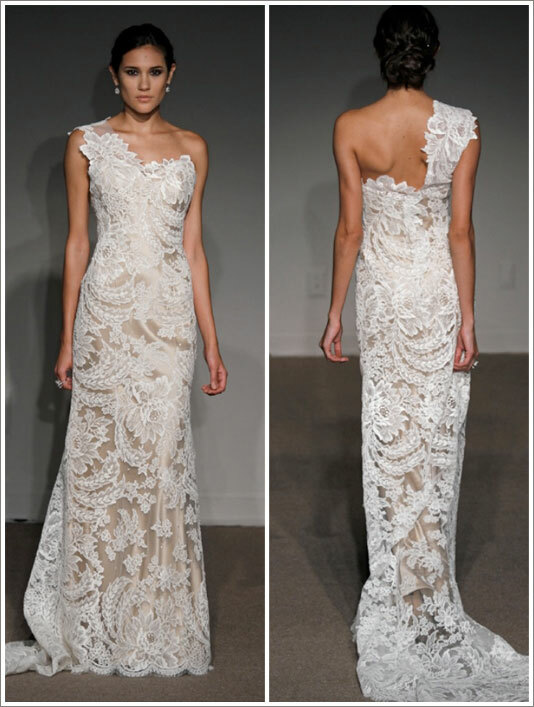 Here’s our monthly rundown of bridal goodness and trunk shows in the DMV. Be sure to contact each salon, as posted dates may have changed, and appointments may be required.